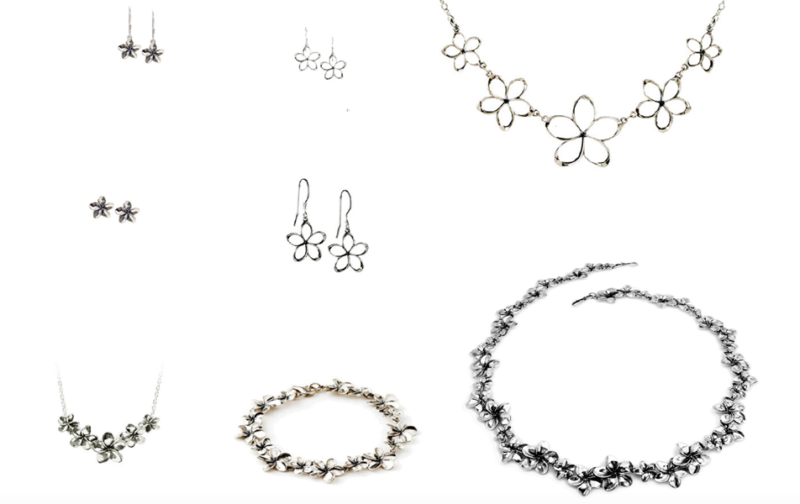 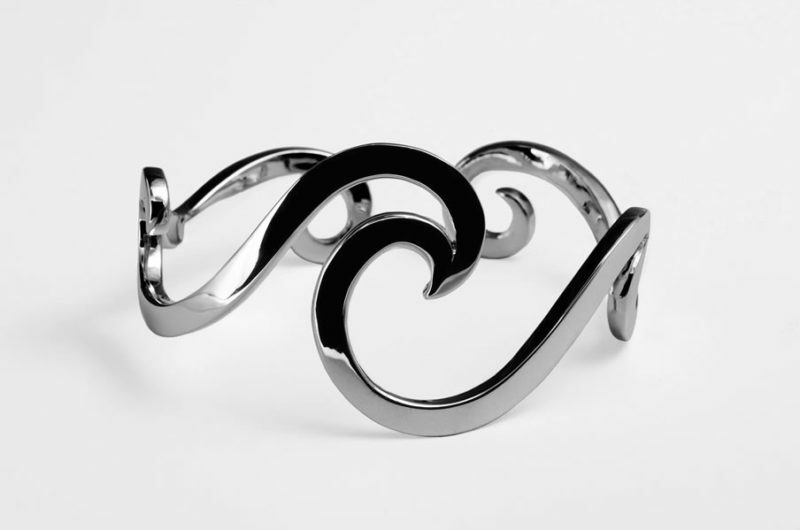 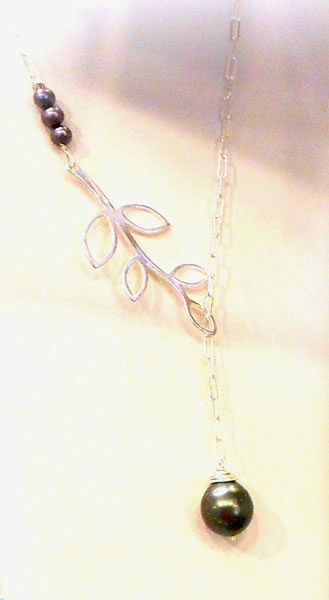 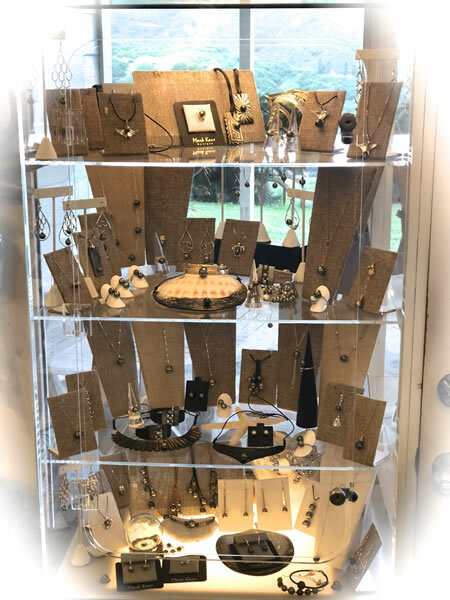 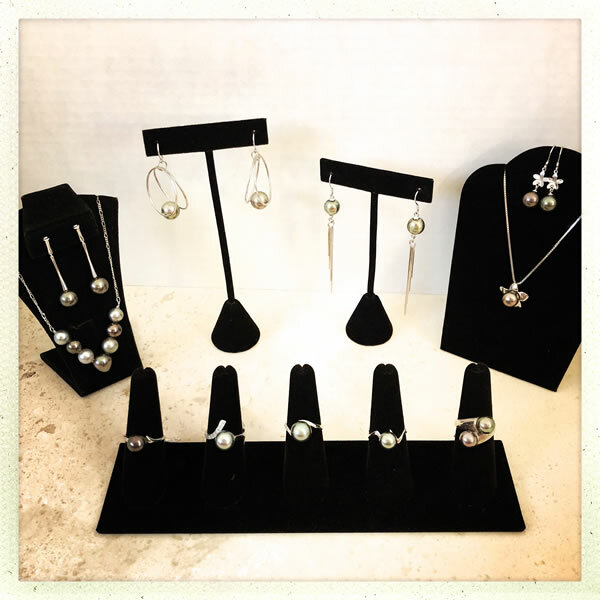 We have a wide range of jewelry at Karen Lei’s Gallery. 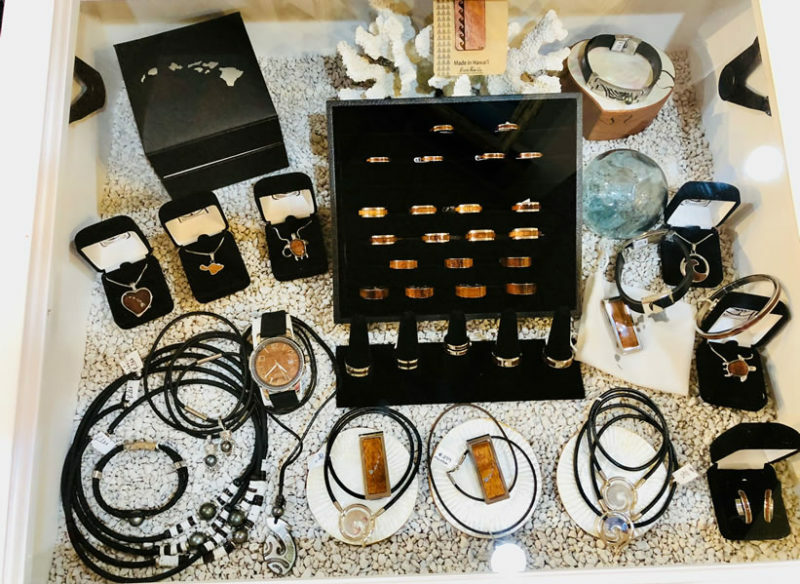 Not everything is pictured, and inventory is ever-evolving. 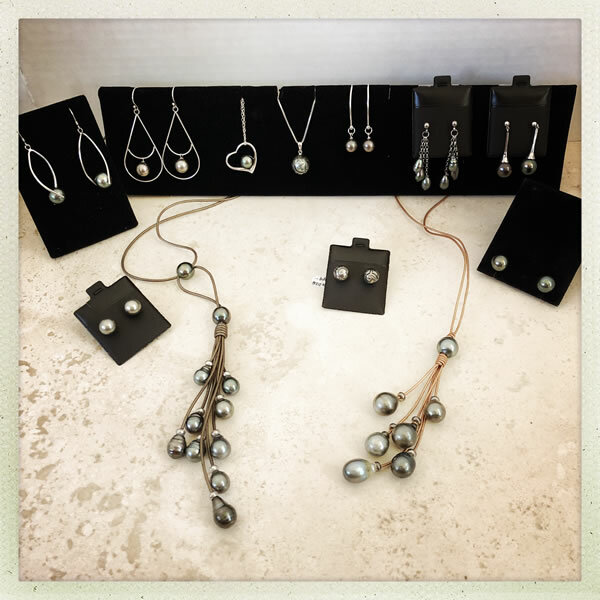 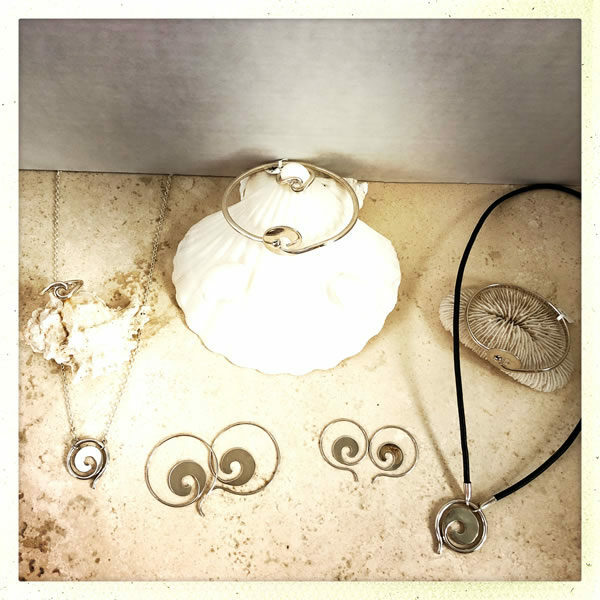 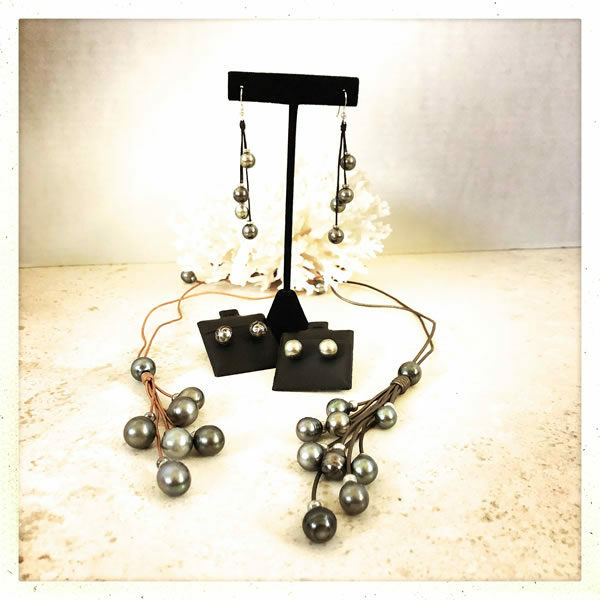 We carry from Tahitian black pearl jewelry to silver and beach glass jewelry, and everything in-between. 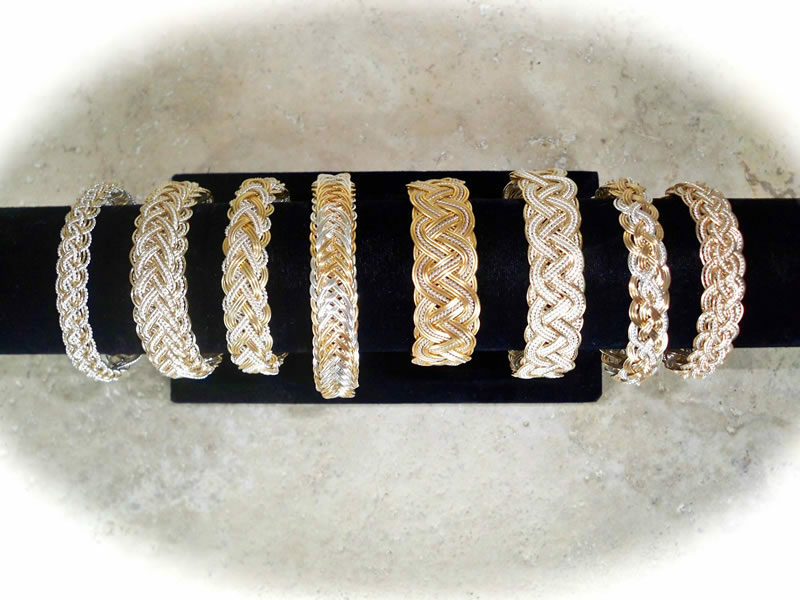 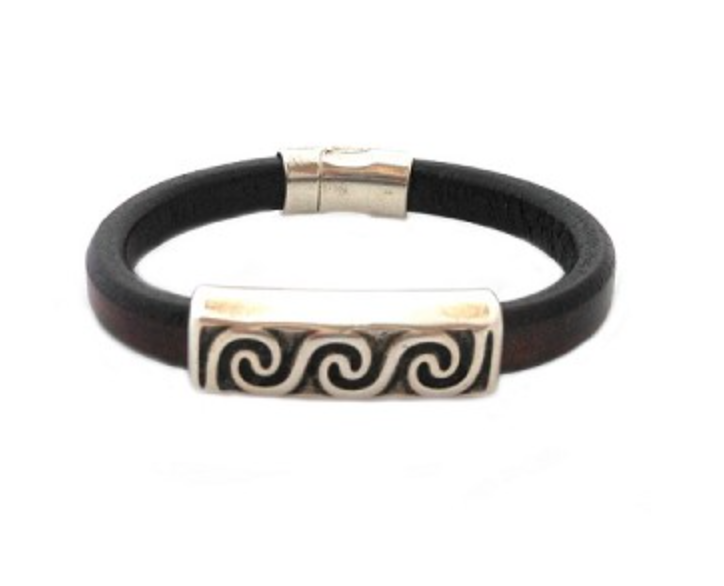 We carry 14K gold jewelry with diamonds and precious stones, to leather bracelets. 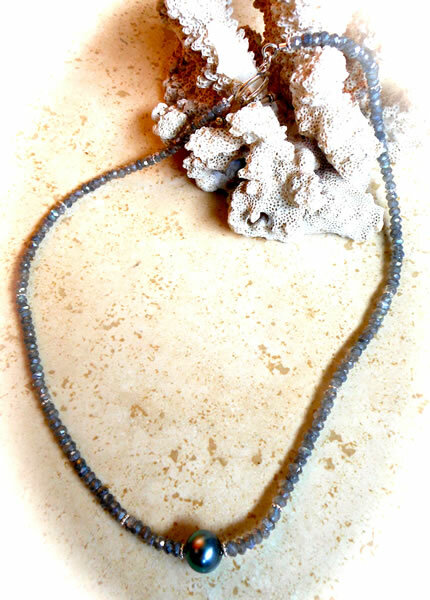 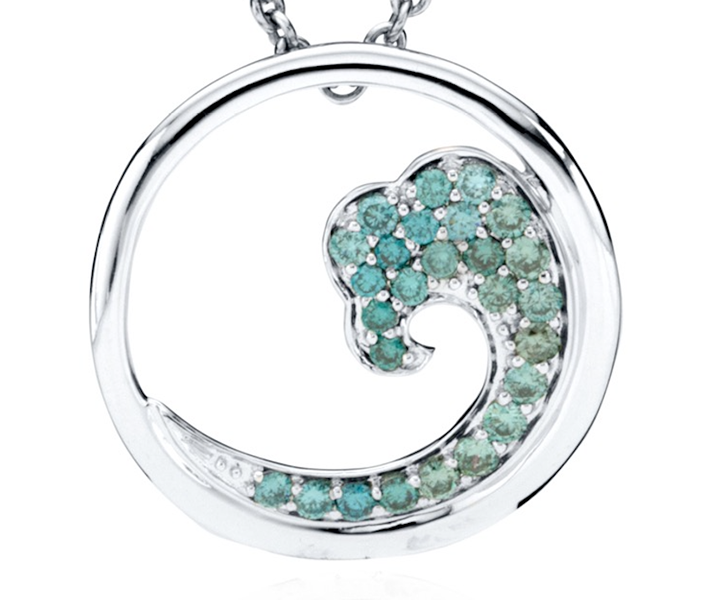 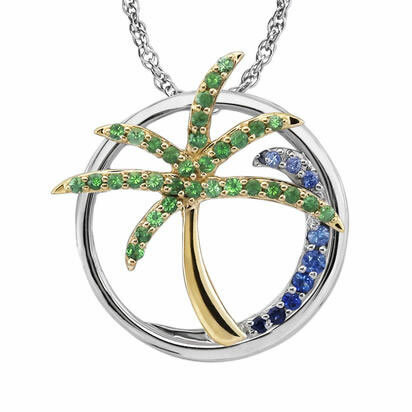 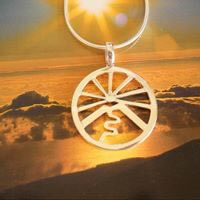 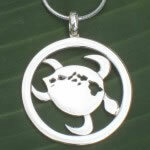 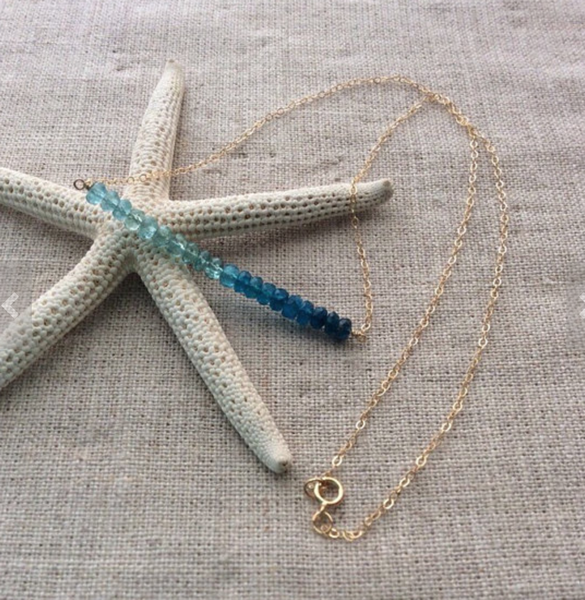 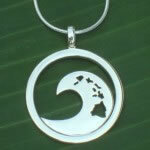 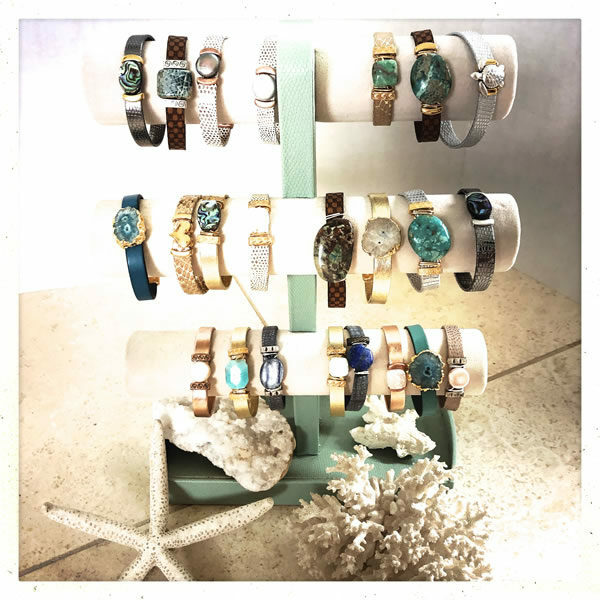 Most of our jewelry is designed with an emphasis on island living. 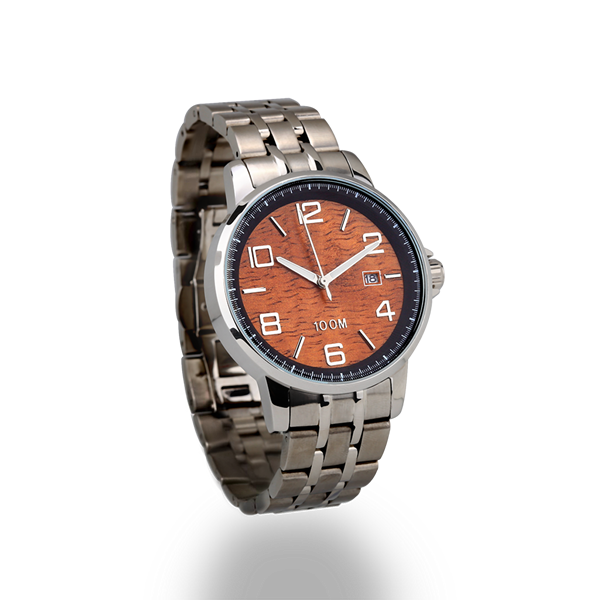 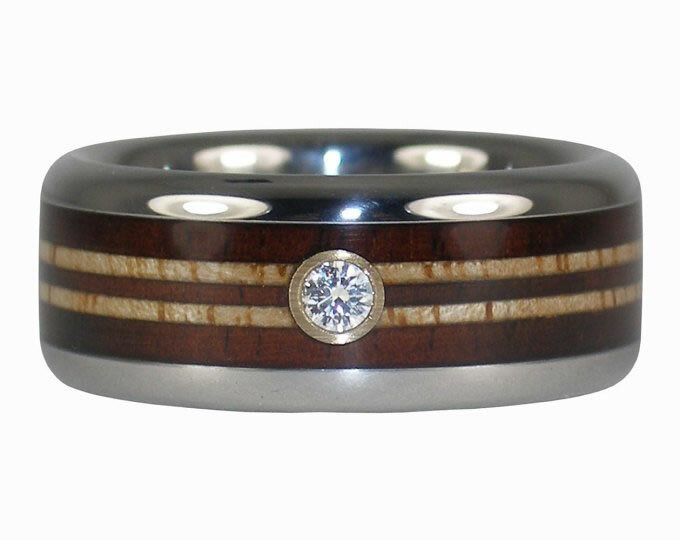 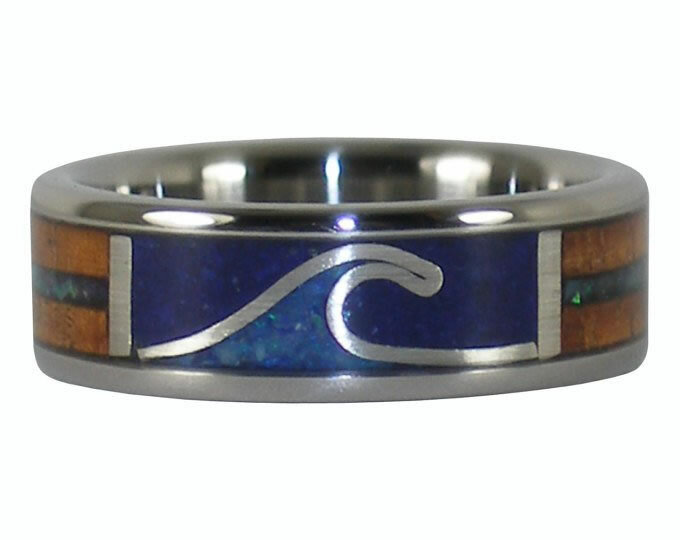 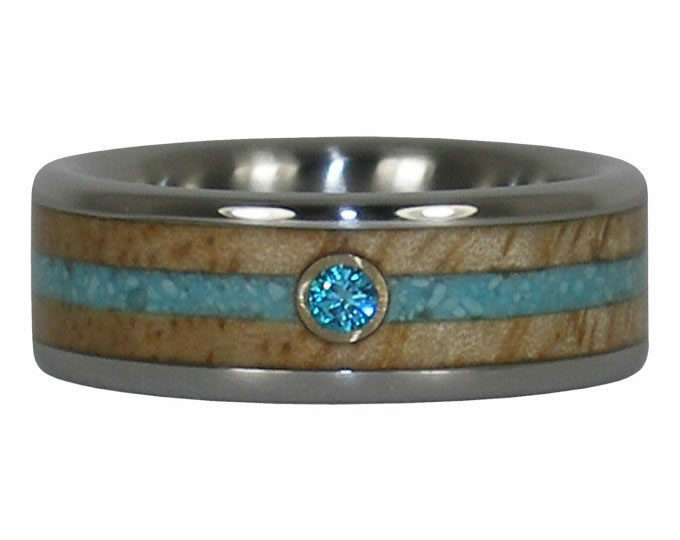 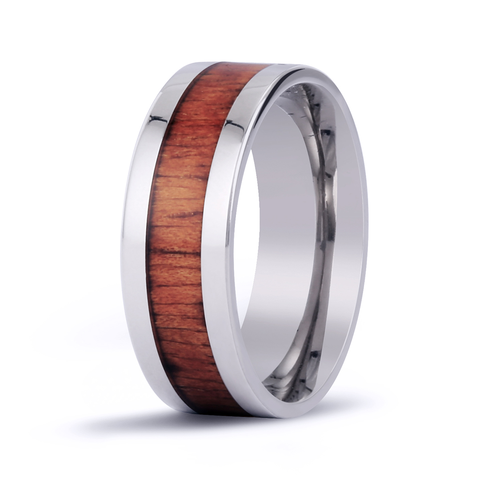 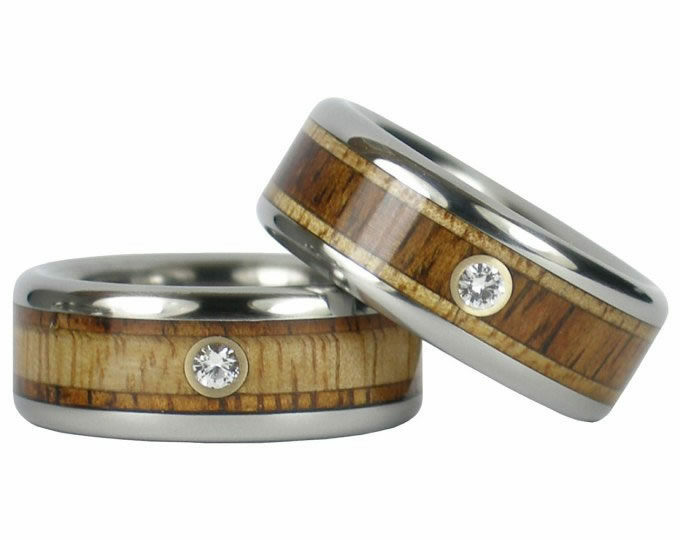 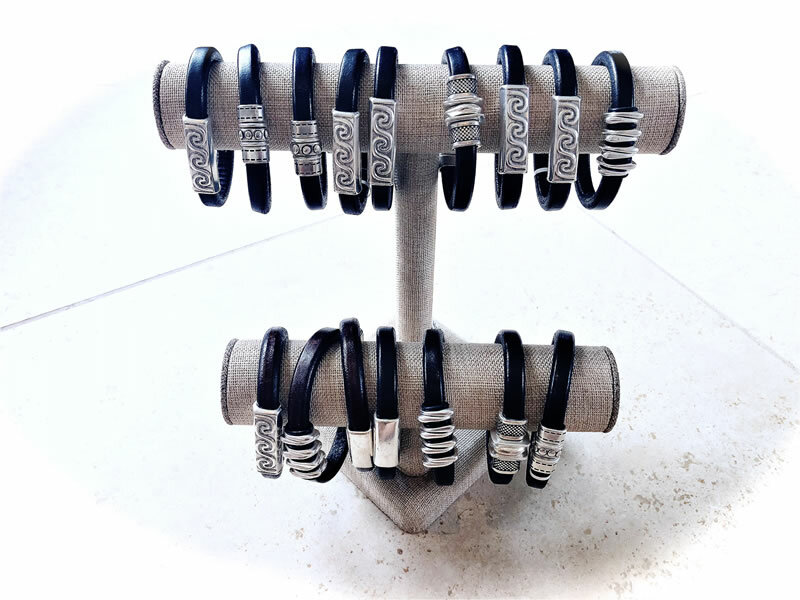 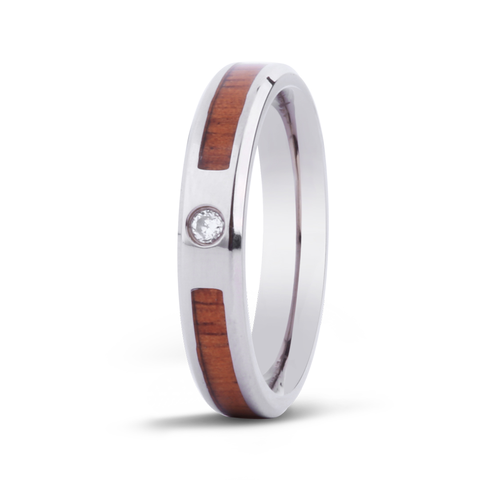 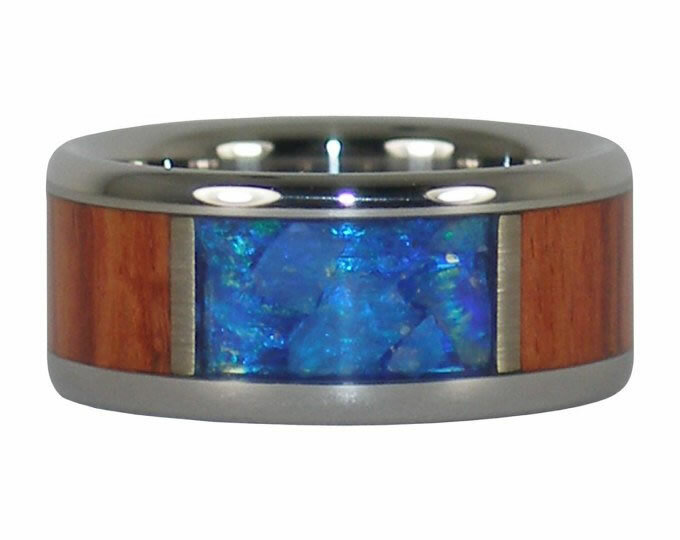 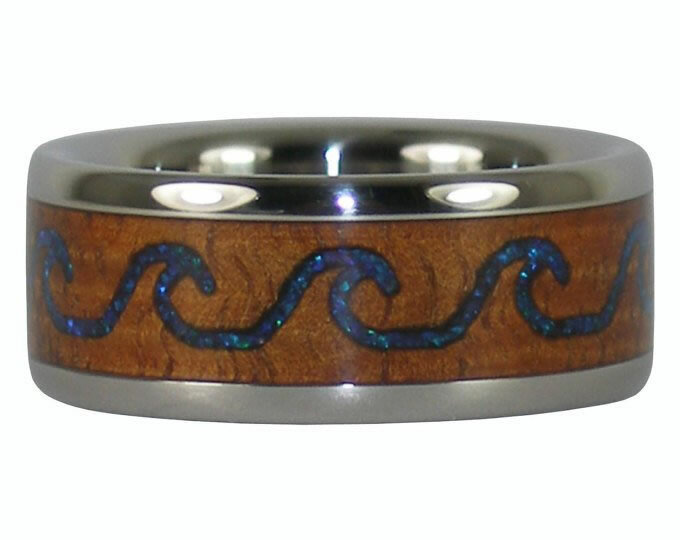 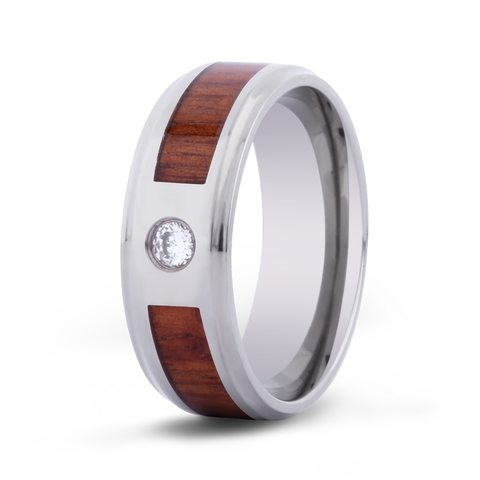 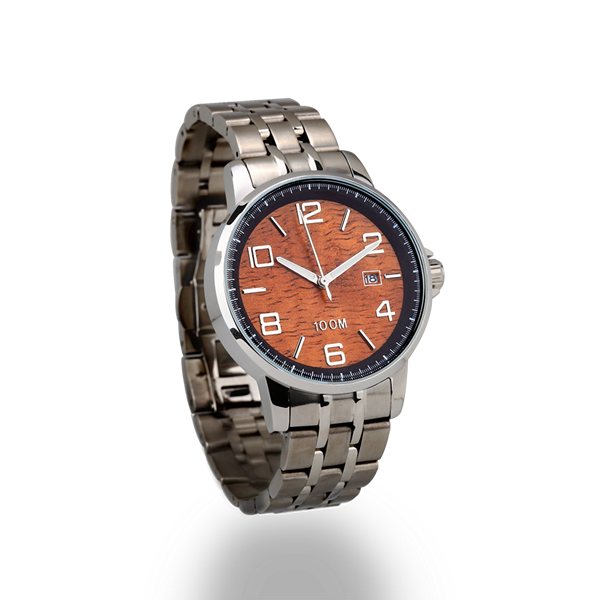 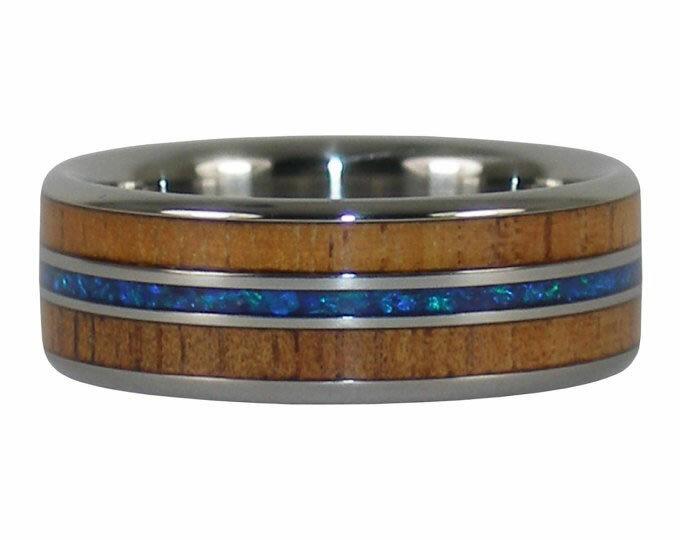 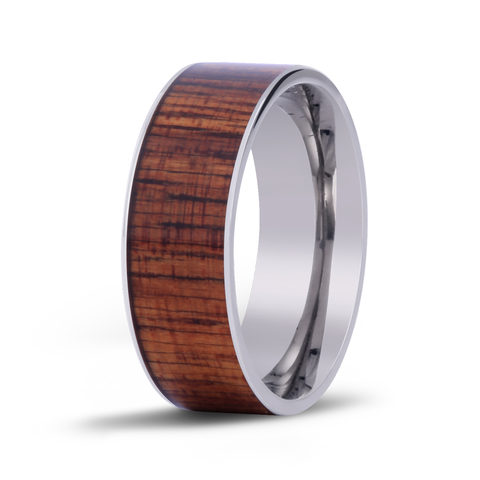 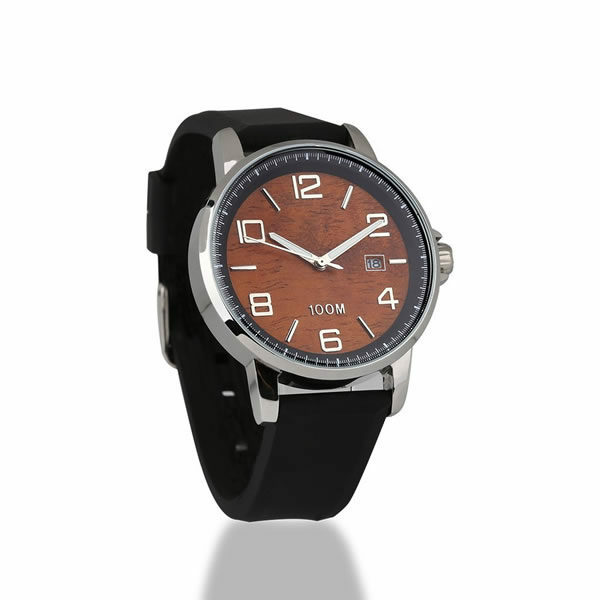 We have a line of koa jewelry for the men and ladies as well. 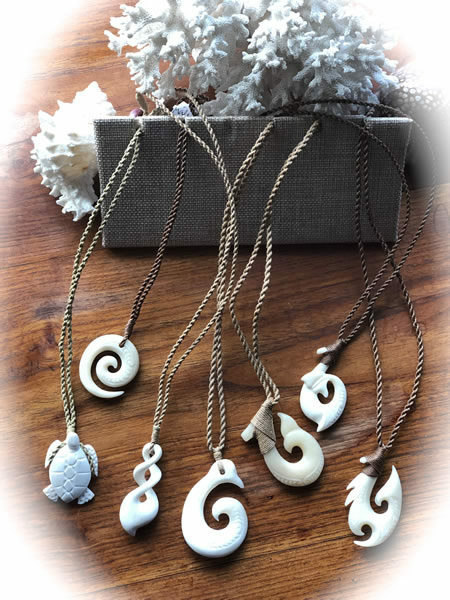 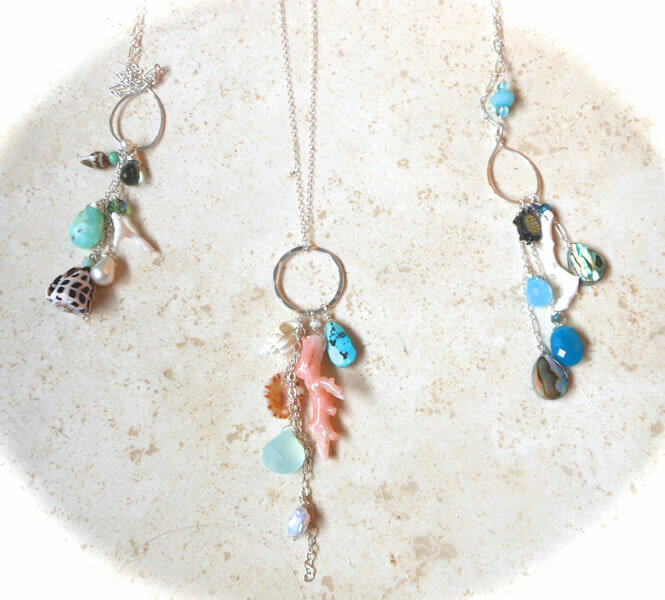 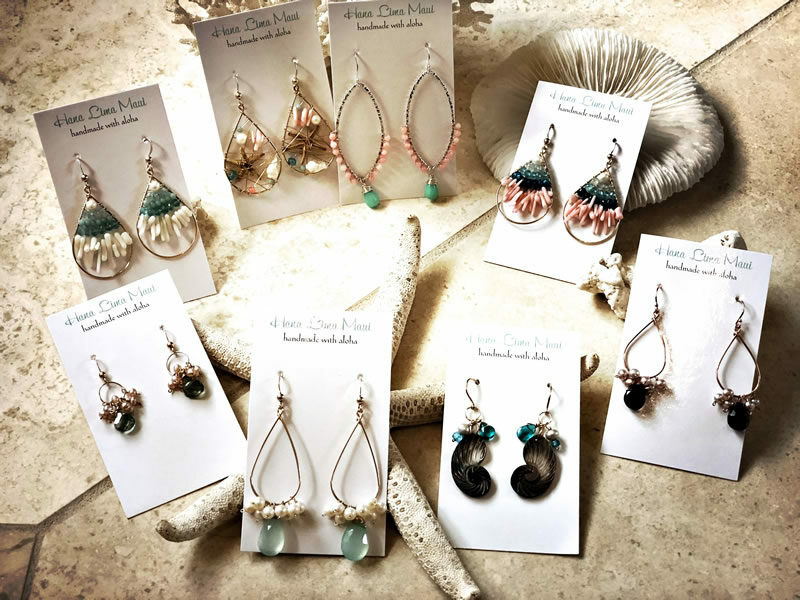 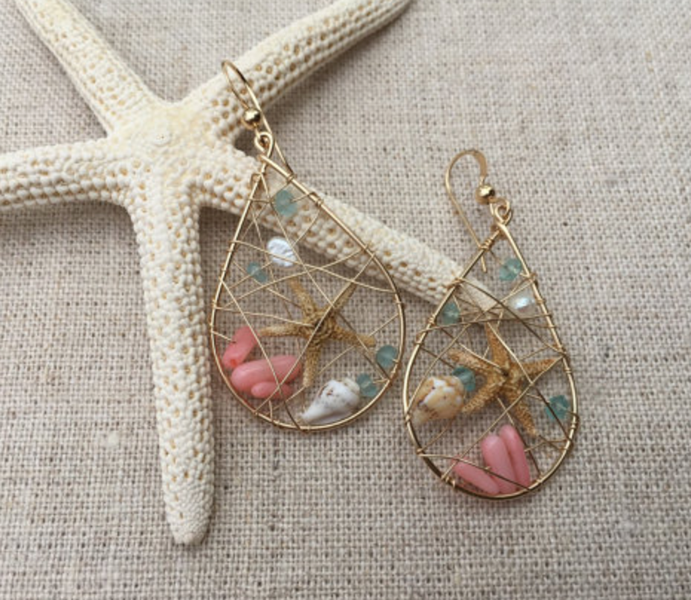 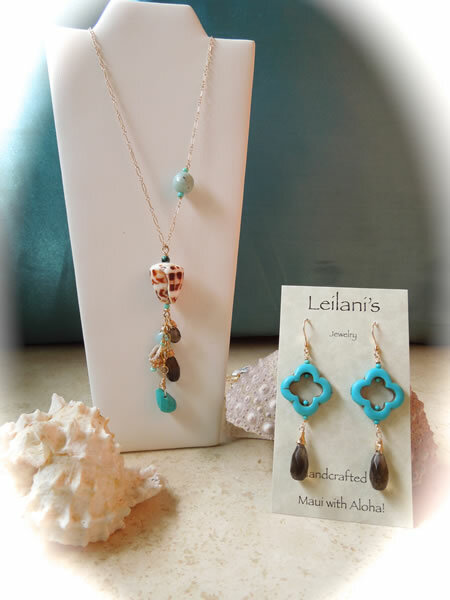 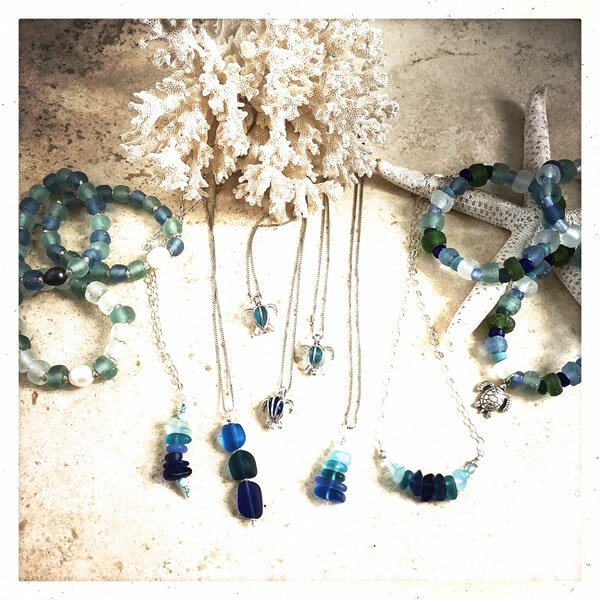 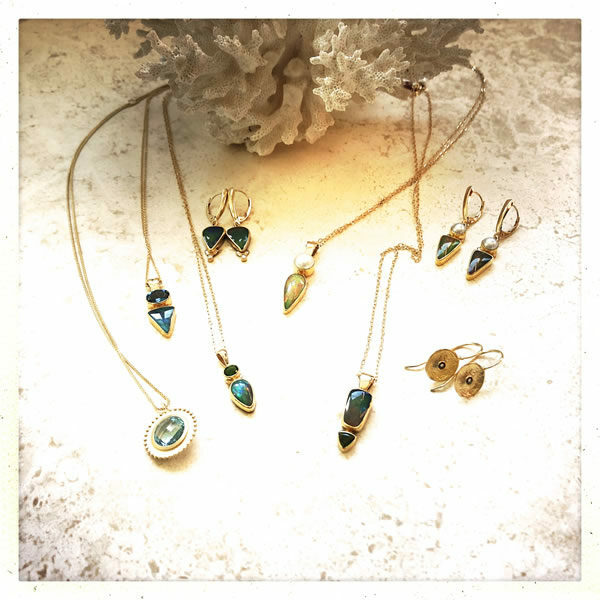 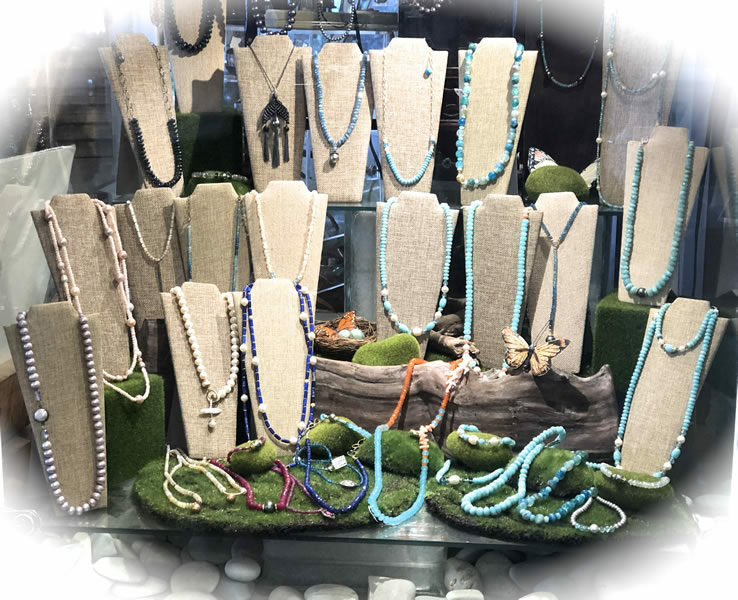 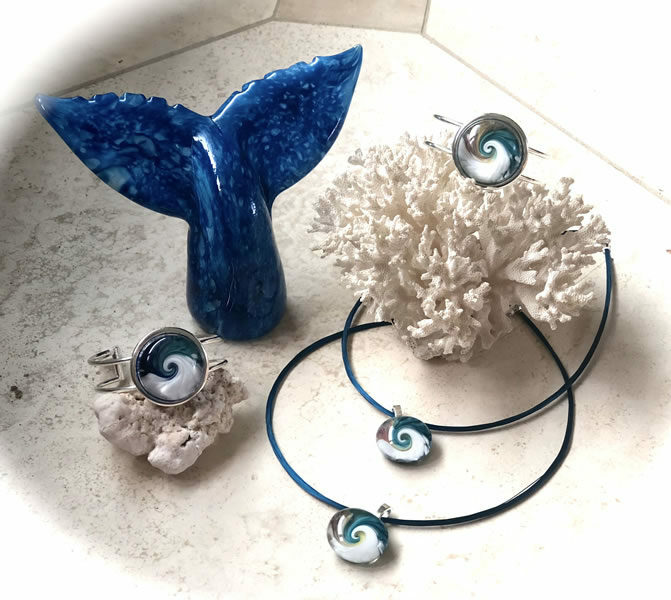 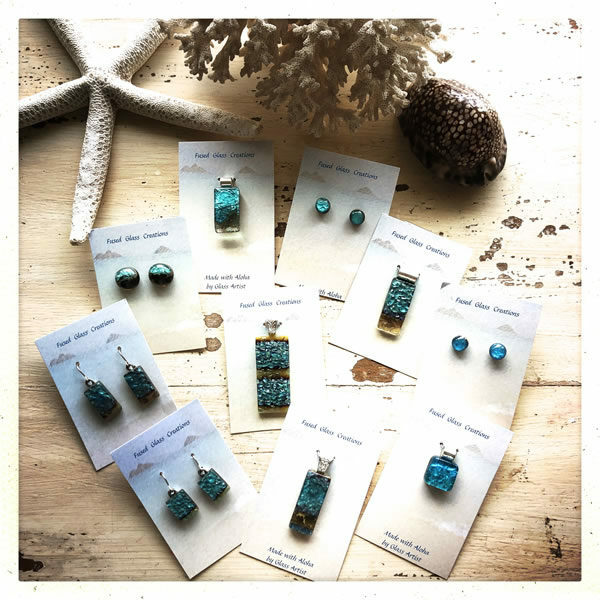 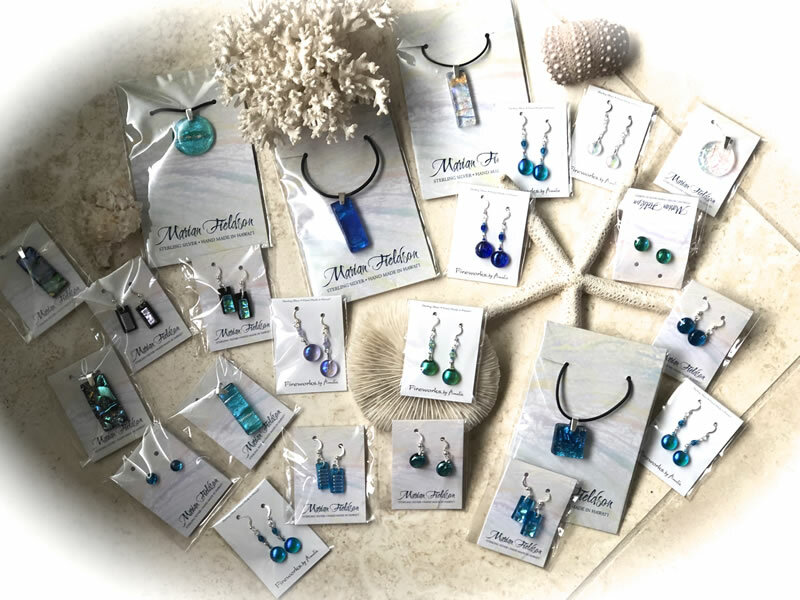 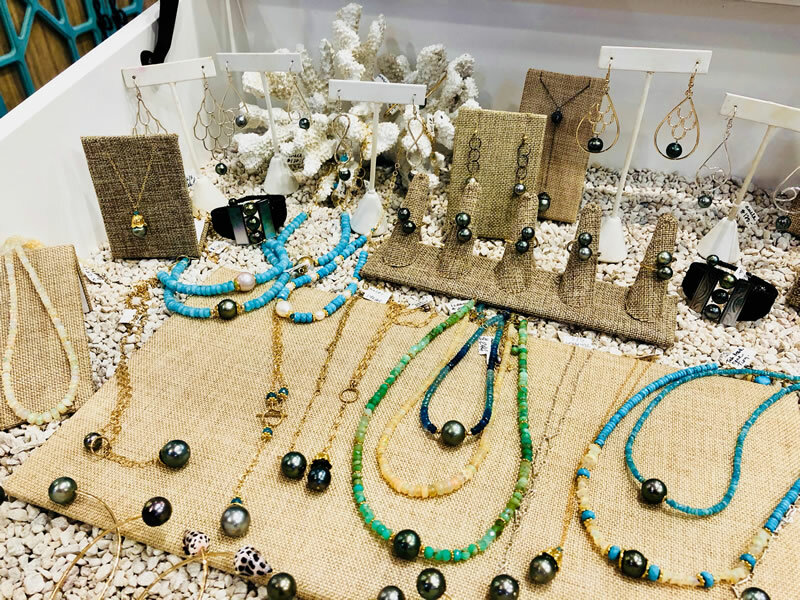 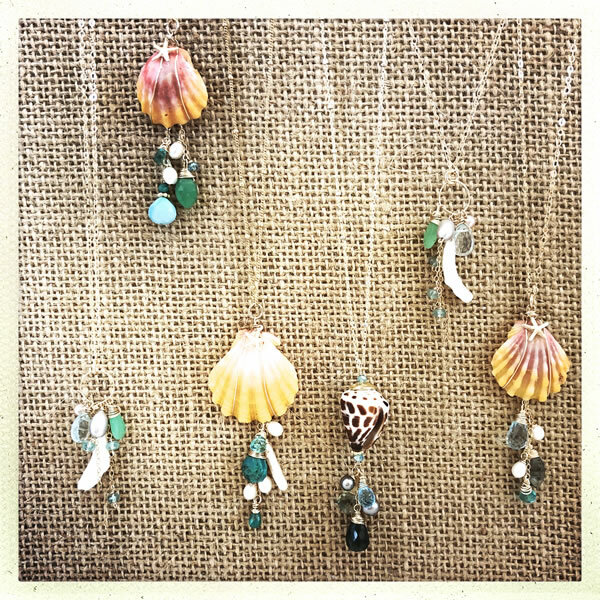 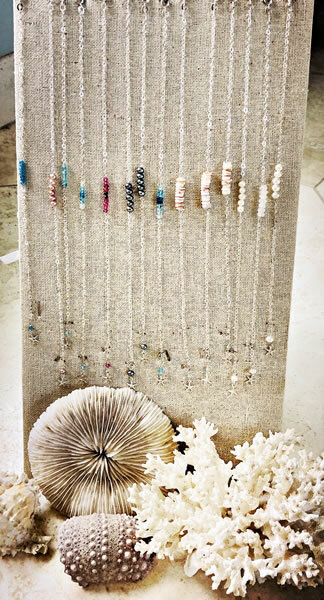 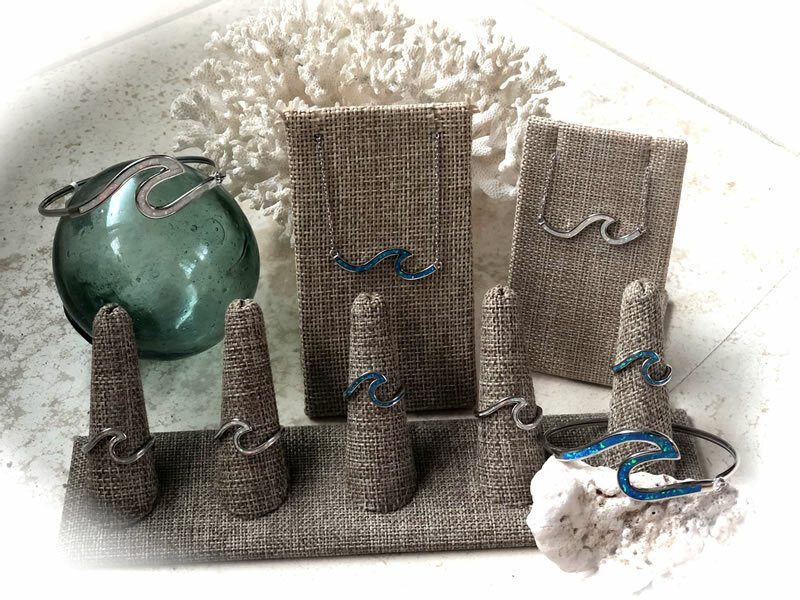 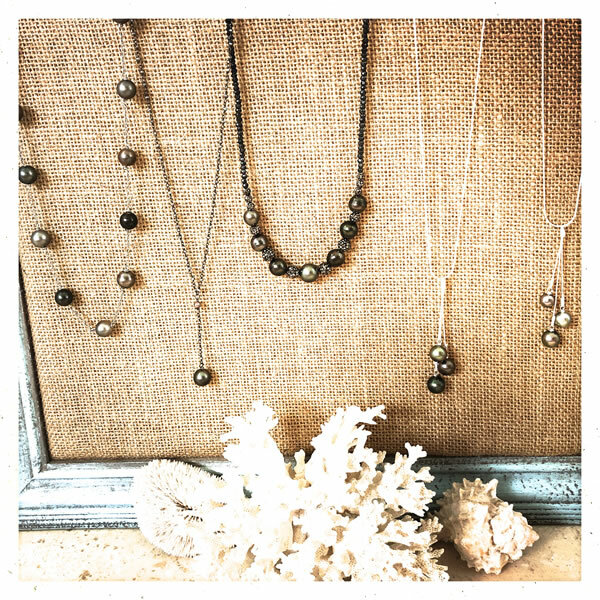 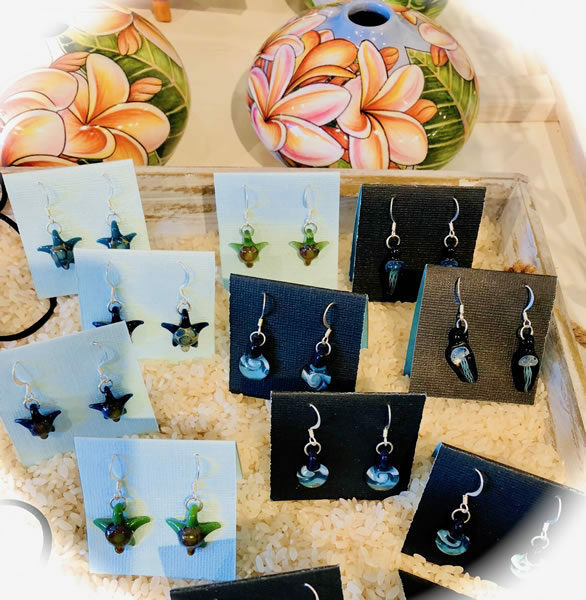 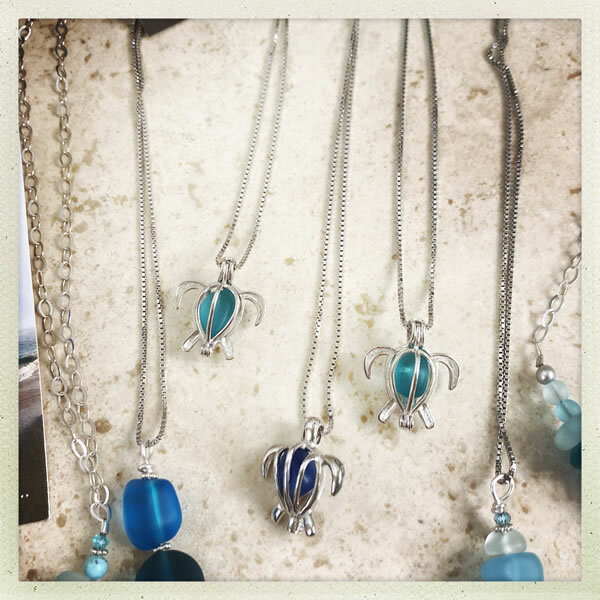 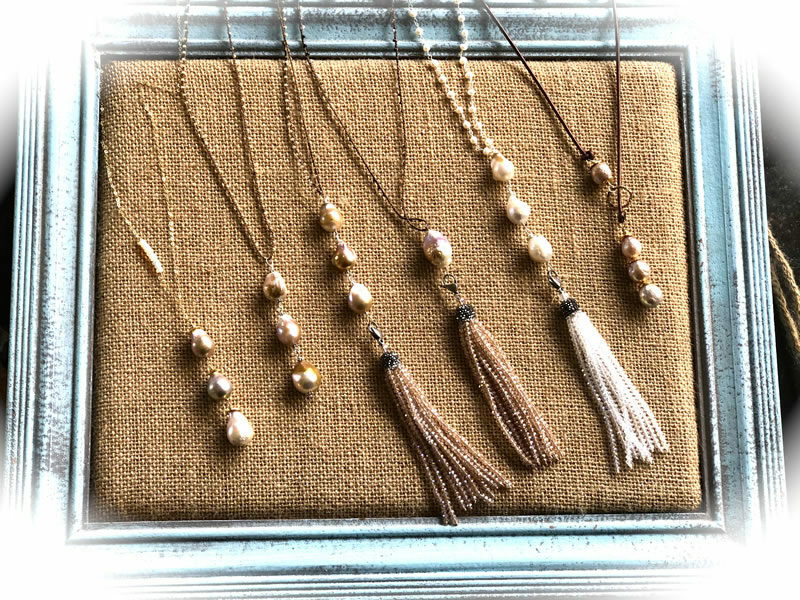 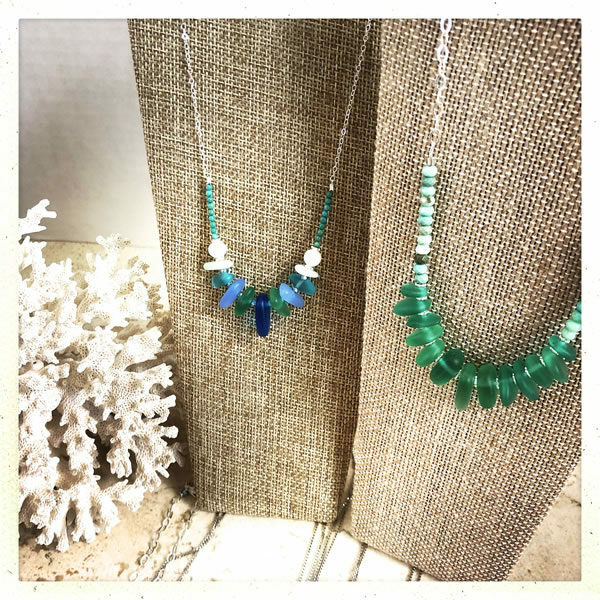 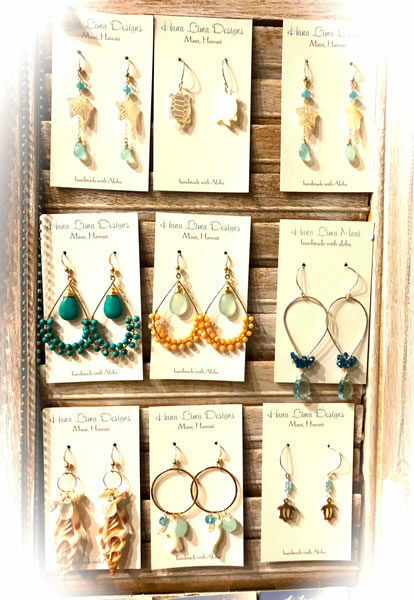 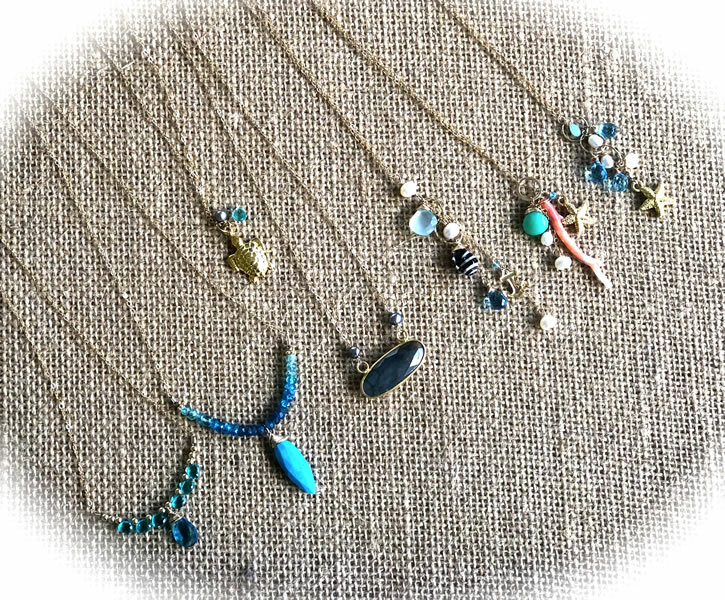 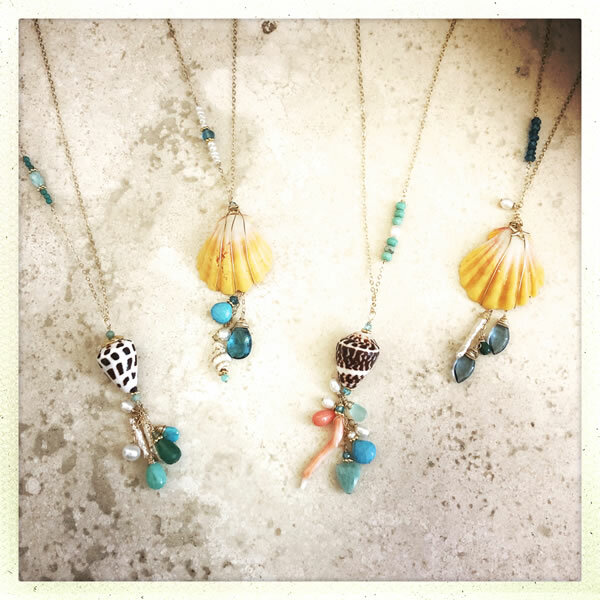 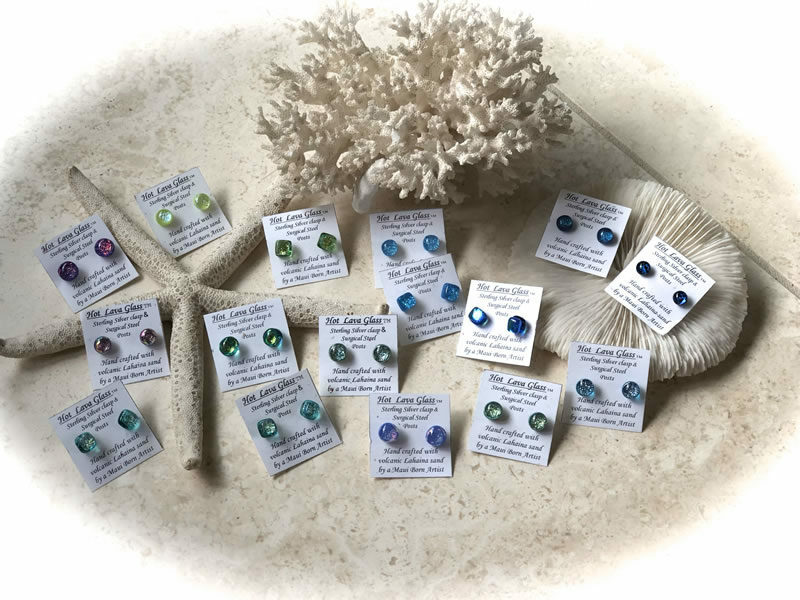 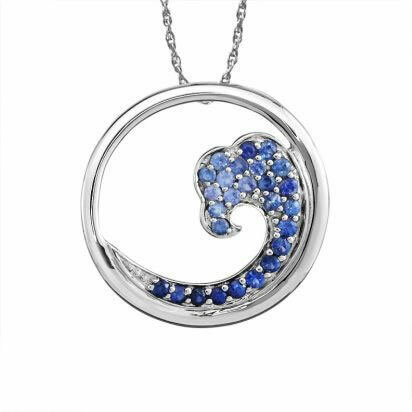 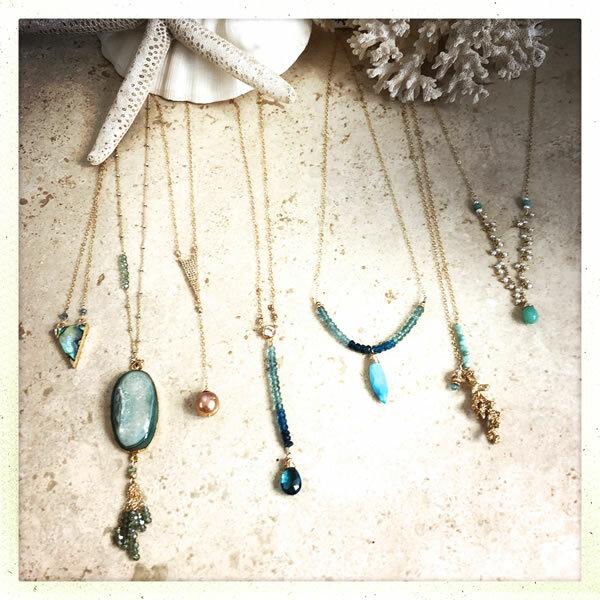 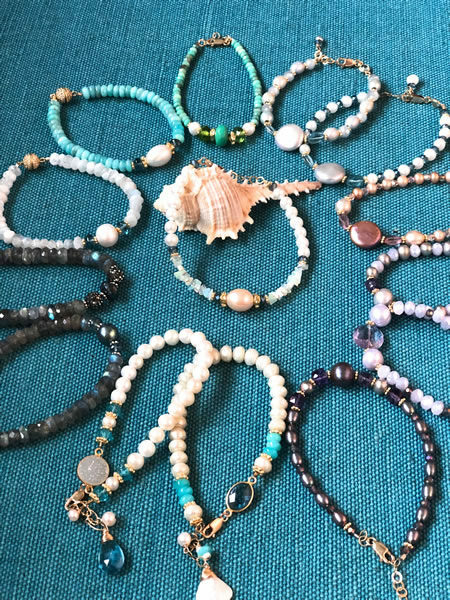 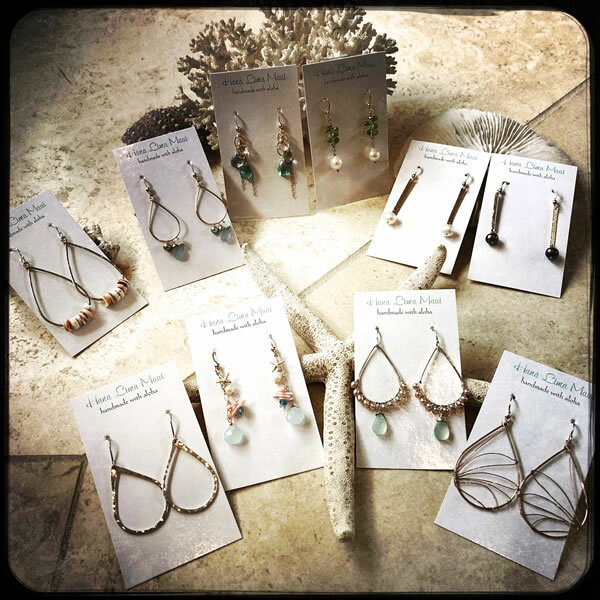 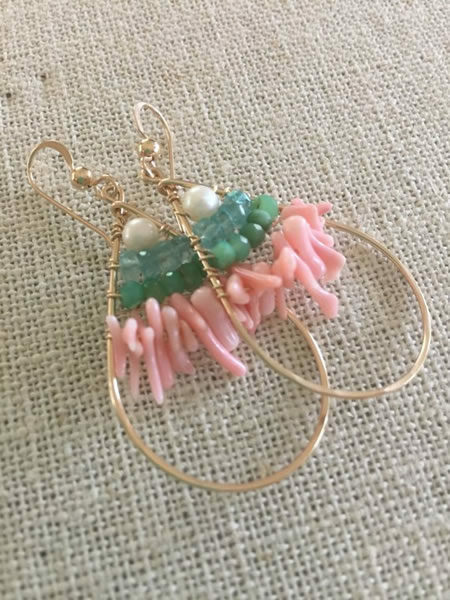 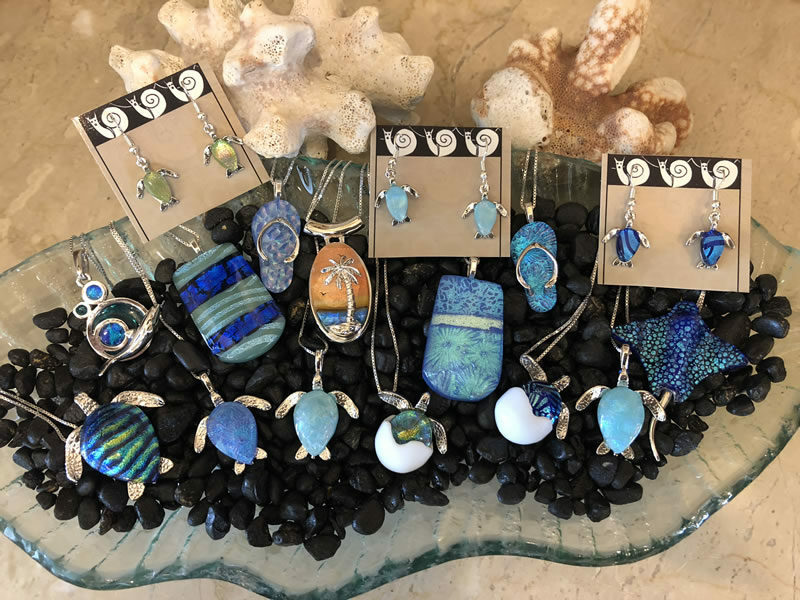 Lots of our necklaces and earrings are made by Karen Lei herself and are island-inspired and created using pearls, shells, coral, beach glass and blue and turquoise hued gemstones. 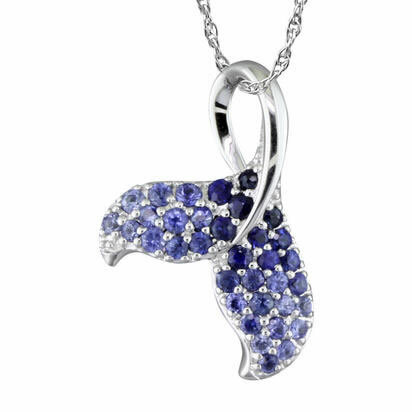 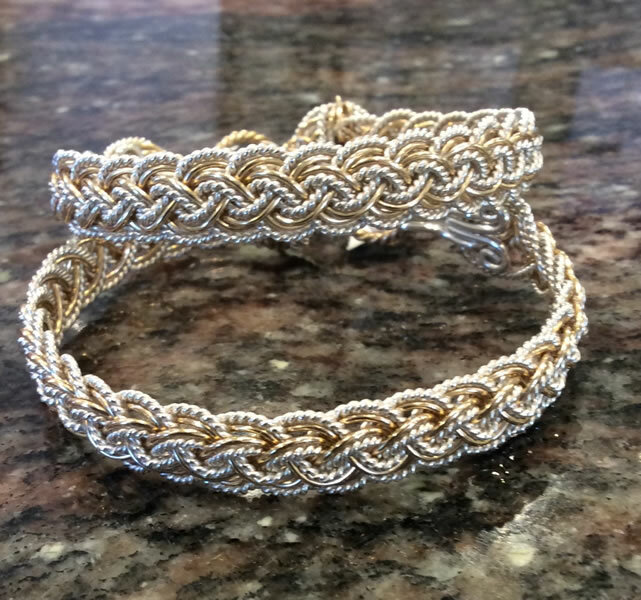 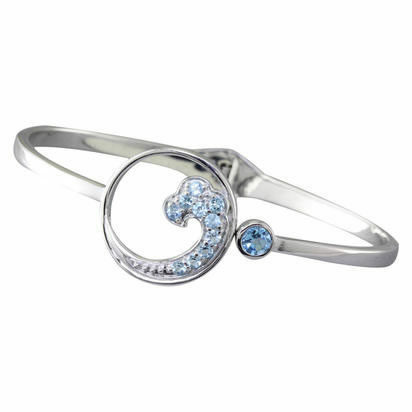 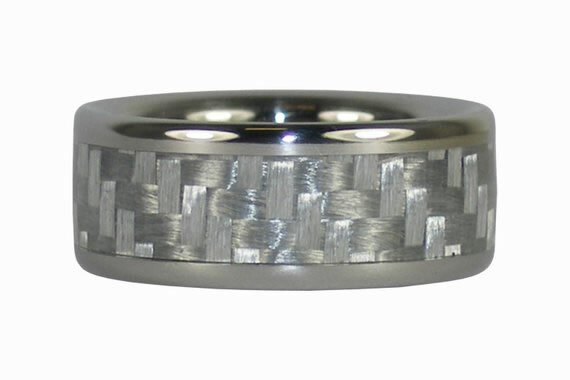 Take a peek at our jewelry below, and let us know if you are interested in anything. 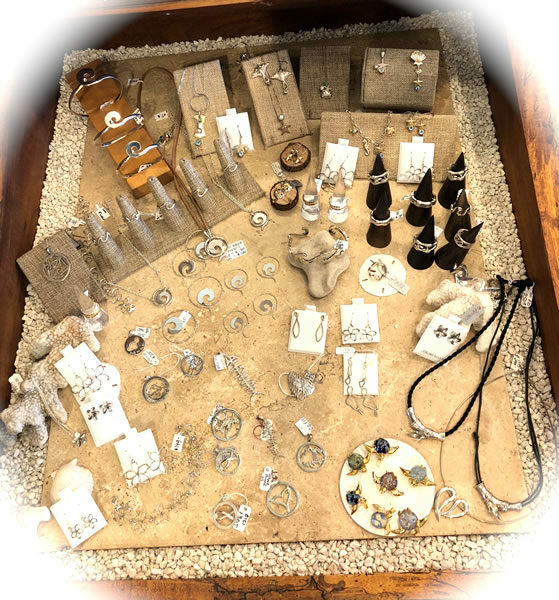 Many of our lines we carry all the time, and some are one-of-a-kind pieces, never to be seen again.